Baby Huey, your song Hard Times breaks my heart. You sound so worldly and yet you were dead by 26. 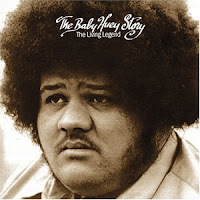 Hard Times is from his only album, The Baby Huey Story: The Living Legend. It was released in 1971, a year after he suffered a fatal heart attack. This song still sounds so fresh, sometimes it's hard to believe it's 41 years old.